Monastic life is the emulation of the life of Jesus and the apostles, lived in obedience to his commands and his teaching, seeking to hear the will of God and do it. On one hand, this is very simple; on another, it has taken on very specific cultural expressions in the many cultures and societies that have embraced Christianity. It is one thing to revive a monastery which has existed for a thousand years, albeit the buildings are ruins; it is another to pull together a monastic community in a culture that sees it as alien. I have had the privilege to be part of both kinds of processes, in Russia at Valaam, and in building St John of San Francisco Monastery in California. I have also closely watched the process in the founding of the monasteries of Elder Ephraim, a transplanting of Athonite and Greek monasticism to America. Now as bishop, I see how various models do or don’t work, what their strengths and weaknesses are. I will give you a little background about myself, as an example of formation outside a traditional Orthodox culture. I grew up in the Anglican Church in the San Diego area, and converted to Orthodoxy in university. I graduated from the University of California, Santa Cruz, with a degree in Anthropology and Religious Studies. While there, I had the benefit of the tutelage of Bishop Basil Rodzianko, of blessed memory, who took a great interest in me and eventually blessed me to go to seminary; and Bishop Mark of the Moscow Patriarchate in San Francisco. Bishop Mark was the last monk of Old Valaam, who inspired me on the monastic path, and especially an interest in Valaam. Then off to St Vladimir’s Seminary for the M.Div, under Frs Alexander Schmemann and John Meyendorff; then an M.Th. in Dogmatics, with Fr Thomas Hopko, with additional studies at Fordham University and Holy Cross Orthodox School of Theology in Boston. Then eventually, to Graduate Theological Union in Berkeley, CA. for the doctoral program in church history. From my teenage years I was interested in monasticism, and was part of a small effort to create a community during one summer between my third and fourth years of university. That went nowhere, and I went to seminary, finishing in 1988, and then grad school, in 1991. None of the American monasteries really interested me. Being disgusted with academic politics, I went to Russia in 1993. There, working for a joint venture between an American Orthodox publishing venture and the Publication Department of the Moscow Patriarchate, Русский Паломник, I had the chance to go to Valaam. I first meet the abbot, then Archimandrite and now Bishop Pankratiy, in St Petersburg; who became my spiritual father. Eventually I went to Valaam to become a novice. Fr Pankratiy took me to his Elder, Archimandrite Kyrill of the Trinity St Sergius Lavra, who in turn blessed me to be both a priest and a monk, fulfilling the sense of calling and preparation I had made to serve the Church. Mine was an odd novitiate, working with foreign donors and on the financial side of the monastery’s life. However, the Abbot kept me close, and showed me what he thought I needed to know. As it appeared Russia was going to descend into civil war, it was decided I could do more for the monastery from America than simply be there as a hieromonk with a funny accent, not quite able to fully identify with the culture. That decision indeed proved fruitful for the monastery, so I returned. In 1994 in California I was ordained a deacon and priest, and while continuing my relationship with Valaam, working as a missionary priest, and hoping to set up some kind of Valaam podvorye in America. That was not to be. In 1995, I was tonsured to the Small Schema at St Tikhon’s Monastery in Pennsylvania. Fr Pankratiy, while visiting the Bay Area together with Elder Ephraim, gave me the obedience, and blessing, to start a monastery there. From this eventually was born the Monastery of St John of San Franciso, first at Point Reyes Station, California, in Marin County just north of San Francisco. While I had no one to work directly with me in establishing this monastery, I did receive constant guidance from both Fr Pankratiy and the fathers at Valaam, and also from Elder Kyrill. AT this time Fr Pankratiy was developing his contacts with the fathers of the Holy Mountain, and remaking Valaam both according to the founding traditions of that monastery, but interpreted through the lens of the Holy Mountain, especially Fr Ephraim of Vatopedi. I also went to the Holy Mountain, and visited the fathers at Iveron and Vatopedi; as well as much more influence and guidance from Elder Ephraim and some of his close disciples. My own experience of the Athonite monasticism provided me a vision and model: the centrality of discipleship to the elder, the centrality of the abbot as the spiritual father of the monastery, all the monks go to all the services, the use of the Jesus Prayer as the core of the cell rule. These are central structural elements. All of these things were different than contemporary Russian practice, but found their place in our monastery. While Valaam derived directly from the Holy Mountain, we received our tradition from Valaam and thus, indirectly; however, it is like a grandson deriving from his grandfather through his father. My own experience of Athos contributed to building the vision and the guidance to work it out, albeit in an American context. It is amazing how God sends people with particular issues that need to be dealt with, and gives the grace to learn how to deal with them, as a spiritual father. God gives a whole tutorial through pastoral work. I give thanks that for four years I was the chaplain to the women’s Skete of Our Lady of Kazan, with several nuns, that helped to form me as a confessor. Another mainstay of my formation as a spiritual father was monastic literature: the writings of the Holy Fathers, Pachomius, Basil, Cassian, Benedict, the Philokalia, particularly Maximos, Gregory of Sinai, Gregory Palamas. Then there were the later Russian Fathers, Nil Sorsky, Ignatiy Brianchaninov and Theophan the Recluse. Perhaps most important, which I will deal with later, is the influence of Fr Sophrony’s writings, especially interpreted through a hermit on Valaam, Fr Isaakiy. Another major figure who supported much of my work was a Benedictine hermit, Fr Dunstan, who invited me to come weekly for a day of stillness and recollection at his hermitage. Fr Dunstan always had a word for me, always from the Fathers, especially St Isaac the Syrian, whom he studied for decades. Fr Dunstan guided me through the writings of St Isaac, and helped me build on the foundation of the Fathers in the practice of hesychia. There were certainly ups and downs in the life of the community, as we struggled to figure out what it meant to be monks in late 20th century California. With years of theological education, I was able to understand the writings of the Fathers, but the brothers who came needed to have them interpreted for them and administered in small doses. Here again, God sent people with different problems and issues for me to deal with, and to learn from. What this did was to force me to learn to interpret the patristic texts on monasticism, and the Russian and Greek practices of monastic life, into forms and words the brothers could receive, and which would allow them to undergo the same process of healing and growth to spiritual maturity. There were three major phases in the growth of our community: the initial foundations, where a handful of hippie kids came and began to live a life of obedience and discipline, with a substantial liturgical life; the second phase of that, also at Pt Reyes, where the first group was forced to leave by the chancellor of the Diocese, and a new community formed of far more mature people; and the third, where the community expanded from Pt Reyes to Manton, in the mountains of Northern California 250 miles north. The second phase, about four or five years into the project, was where the most growth occurred, both in me through dealing with the issues of the brothers, and what they brought up in me. Finally, when the community moved into larger, more adequate quarters, it doubled in size within a year, and then, two years later, they pulled me to be a bishop. It continues to grow and prosper under Fr Meletios Webber, the new abbot. Now I am in the process of establishing a new monastery in the Washington, DC, area, both to be the context for my own life as well as a community to develop those who wish to serve the Church. It was this life experience that led me to my own synthesis, which I present below. It stands on the basis of a complete commitment to Christ in the Orthodox Church, a commitment that becomes a foundation for young men who are seeking to pour their lives into something, to find a foundation and context for their lives that will not only heal their souls and bring them into spiritual maturity, but will give meaning to their lives and commitment through love and service to others. This thirst for Christ, for the Church, for a whole and integrated life, is what monasticism in the 21st century, as in all centuries before that, provides an answer to. It is why monasticism is one of the most critical institutions with the Church, and it must be fostered and nurtured, so that it can in turn nurture the life of the Church. Monasticism is at the heart of the Orthodox Church. It is the most radical expression of faith, in which a person leaves the world and “normal life,” in order to live in community, in poverty and self-denial, for the sake of Christ. It takes a certain maturity for a church, as Bp Pankratiy of Valaam said, for it to produce monasticism. This is perhaps why it took 100 years of the existence of Orthodoxy in American culture to start to bring forth monasteries. Often people will focus on the cultural expressions of monasticism, the external forms that vary. Often these become more important than the real substance, and a kind of external formalism takes the place of spiritual process. “If it looks right, it is right” unfortunately doesn’t work. This is a great temptation for those who are “traditionalists,” and get caught up in the externals. While there is a place for obedience to form, what is most important is the inner work of monastic life, the life of repentance, being “transformed in the renewal of mind” which may or may not be visible to any but the spiritual father of the monk. We should observe the one, while being also mindful of the other. Internal to monasticism is its unique monastic culture, distinct from the overall ecclesiastical culture shared by the Orthodox Churches but part of it; and yet independent of any particular ethnic cultural expressions. There are uniquely Athonite, Greek, Russian, Romanian, Serbian and other particular expressions of this culture. 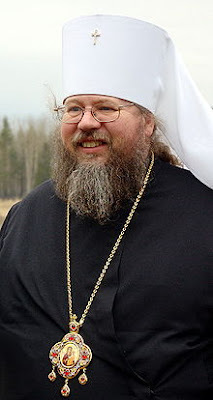 For example, it is said that in Russian monasteries, the liturgical life is very strict and corners are turned with military precision, but the inner life of the community, how the brothers relate to one another, is rather casual; whereas in the Greek monasteries, liturgical life can be rather casual, but there is a very strict order to personal relationships among the brothers. This, of course, is from a Russian. But underlying all of them is the unique monastic culture of shared values and a shared way of life. The true monk is not only outwardly a monk, but rather, inwardly. In the late 19th Century, St Ignatiy Brianchaninov wrote that all monastic life must be absolutely based in Scriptures, and any that is not is going astray. What we need to consider is what that means. Monastic culture is nothing other than life according to the Gospel, both for each monk and for the communities. Its goal is the purification, enlightenment and deification of the monks through a life of repentance, and the building of communities that incarnate the Gospel. There is always a corporate side of things, as well as individual. This is because monastic life has as a goal to bring out and foster authentic personhood in each of its members, which can only be done in community. The gifts of each one need to be discerned, and applied to the life of the community, so that each person reaches his potential and thus, is fulfilled; and so that the community receives the gifts intended by God for its upbuilding, given to each. Essential to this is the role of the spiritual father, the elder, to whom the monks are in a relationship as disciples, as spiritual sons. Not only does this emulate the relationship of Christ and the apostles; it is the way the Lord has given his followers to live. In establishing monasticism in America, I believe what is most important is to look at the essential principles of monastic life, rather than try to duplicate culturally specific forms. It is these principles and shared understandings of how monastic life is to be lived that are the core of monastic culture, whatever the particular cultural expression. Over the past twenty plus years, I have tried to understand and incarnate monastic life, taking the principles I learned as a novice in Russia, and particularly on Valaam, through the various books on monastic life from the ancient Fathers as well as contemporary Russian and Greek Elders. These principles are as follows. First monasticism is a life of repentance, the transformation of the mind and heart. This involves not only a turning away from sin, but also a renewal of the spiritual faculty within a person. It involves grief for sin, and purification of the soul from the effects of sin; but more than that, it is about an opening up and maturing of the spiritual consciousness in illumination. Repentance is thus the process of deification, the gradual ascent of the person to union with God. However, it is also the process of renunciation and detachment, a gradual ascent to freedom from attachment to sins, then to things and relationships, then to one’s own ego, and to even one’s conceptual images of God. Repentance is at once turning away from and renouncing all things that hold us back from following Christ, a reordering of one’s entire life and system of values, and ultimately, of one’s consciousness itself. Yet, it is also the work of detachment, letting go of these things by which one has defined himself and his life, and refocusing solely on God. Monasticism is about inner work. While all Orthodox Christians are called to a life of prayer and fasting, according to the rules of the Church, the purpose of fasting is to bring oneself under control. Thus fasting is not only the abstention from various foods. It is, on a much broader level, the fasting from all things which lead us into temptations and passionate behavior. At the heart of such fasting is inner watchfulness and vigilance, so that passionate thoughts do not gain control of our awareness, and lead us into sinful thoughts, obsessions, and actions. At the core of this is the battle with thoughts, afflictive emotions, which lead us into sin. On other words, the battle with thoughts (logismoi) is at the core of the inner work, both rooting out their causes through detachment and renunciation, as well as the constant self-denial that comes through vigilance, in dismissing passionate thoughts and stopping the process which leads to sinful actions. Prayer and fasting, the discipline of keeping one’s awareness (nous) focused on God, and the practice of self-denial, support this inner work. The first stages of the inner work are the process of purification, in which we confront all the behaviors, habits and ingrained ways of acting and thinking that have constituted our life and our identity. When we begin a serious spiritual discipline, especially one involving silence, one of the most important processes that happens is the emptying out of the conscience: memories, resentments, anger, guilt, and all other kinds of repressed emotions and memories come to the surface. This is why it is so important that the novice have access to his elder, so that he can confess his thoughts, and thus deal with the result of years of living in the world. The thoughts, images, emotions, feelings, memories and resentments that come to awareness all should be taken to confession, and dealt with. Thus also is the practice of life confessions, first when one becomes a novice; then later when one is tonsured. That process of purification begins in earnest during the first years of monastic life as a novice. It continues, but in a different way as one becomes more mature, and has dealt with the results of his past life. Hand in hand with this is the practice of silent prayer, hesychia, using the Jesus Prayer; together with the context of the liturgical and sacramental cycles of the prayers of the Church. The liturgical prayers give shape and words to our prayer, and are one main context for the experience of communion with God. The most powerful aspect, though is the practice of the Jesus Prayer, the prayer of stillness. The goal of prayer is to enter into Christ’s own prayer to the Father; thus, the practice of the Jesus Prayer is transformed and becomes the prayer of Jesus, by the Holy Spirit. It is an ascent to communion, to participation in Christ’s own relationship with the Father by the Spirit. On another level, the prayer of silence is the means of stilling the mind, and the context of vigilance against intrusive thoughts, so that we can keep our attention/consciousness/awareness fixed on the Presence. This in turn allows us to enter more and more deeply into the living experience of communion, without distraction. There is a correspondence between the liturgical prayer and the prayer of stillness: the deeper one’s experience of silent prayer, the deeper also will be the liturgical prayer. Also, it is very easy to loose one’s moorings, as it were, in non-conceptual silent prayer. Liturgical prayer provides a conceptual framework to keep one from going off into mystical darkness too far, at least on the initial levels of practice. Crucial to this whole process is the relationship with a spiritual father, who can guide, hear thoughts, and be present to the monk undertaking this process of inner transformation. Monasticism is about spiritual discipleship, the sacrament of obedience. The relationship of discipleship is about obedience: for the disciple to listen to the master, and enter into synergy with him. The whole monastery is about building a community that lives in synergy with one another, and with the will of God. It is a community that seeks to live in obedience to the will of God, by living out obedience to their elder and to one another. It is a community united in love of one another, expressed as obedience and cooperation. The very core is the relationship between the elder and the disciple: the disciple knows that he is unconditionally loved, and can expose the deepest pain and shame in his heart, so that it can be healed. This healing comes from learning to be in synergy with God, through obedience to the elder. The point is always obedience to God, to the Gospel, to the commands of Christ. The focus must always be Christ. It is not the elder, it is not the community, or the buildings that are the goal of monastic life, but rather life lived in communion with Christ, Who is the criterion of all things. The disciplines are not ends in themselves, nor the services, nor the asceticism. All is there to lead us more and more deeply into Christ. It is at once healing, and at the same time, growth to spiritual maturity. Let us apply this on another level. In the beginning of our spiritual journey, when we are spiritually immature, our entire religious outlook is ego-centered, emotional and rational. The deeper level of awareness, the noetic consciousness, has not yet been fully opened. We don’t know our true self, and we live in function of rules and external observance. Our prayer is words in the mind, and not yet descended to the heart. We love God from duty, and our neighbor from obedience. Yet, it all remains self-centered, ego-centered. We want to be “right,” and we zealously defend our positions, whether doctrinal, ritual or otherwise. In short, we are our egos, defined by our passions. We are far from being authentic persons, caught up in our isolated individualism. As we grow, and gain more and more control over our passions, and our soul is purified, grace illumines our spiritual (noetic) consciousness. We become more aware of God’s presence, more aware of the other. We move away from our self-centeredness, to the restoration of the focus of our attention on God. As this happens, as Elder Isaakiy of Valaam put it, our own personal “I” expands, and encompasses others, so that we cannot conceive of ourselves in isolation from God and our brothers; they are who “I” am, and “I” includes them. It is the bond of authentic spiritual love, powered by grace. The more we grow in this noetic consciousness, the more our love embraces all those around us. We pray from the heart for them, and for the whole world. We are purified by grace, so that we can authentically love in a purely unselfish way. This is the essence of what it means to be a Christian: to authentically love. By truly loving God and our neighbor—for our love for our neighbor is the criterion of our love of God (cf. 1 John)—we are purified, illumined, deified. We are healed from our falleness, from our ego/self centeredness, from the tyrrany of our rational and emotional consciousness. The passions come under our control, subordinated to the love of the Other. We become purified of all that focuses us in ourself, and becomes a barrier to love. “Our brother is our life” as St Silouan said. This is what authentic monasticism is: the love of our neighbor. The more purified our love is, the more we actualize our own personhood, and the more our personal “I” expands, to include the whole monastic brotherhood, the town, the region, the country, the Church, the whole world. The saints are those whose “I” includes the whole Church, and their prayer is for all as their true self. Having attained to true personhood, to authentic spiritual maturity, the Christian realizes in his life what Fr Sophrony calls “the hypostatic principle,” existence like that of Christ, in Christ, for Christ, as Christ. Our deification is realized in becoming perfected in love, embracing the whole creation, as Christ did, and being grounded in His divine Person. It is a state of true synergy with God: our love in co-operation with His love, which is His energy, His grace, His life. The real significance is the spiritual authenticity of this contemporary monasticism, whether in Athos, Russia or England, or wherever it manifests itself. It is based in love, in the Gospel of Jesus Christ, in the transcendence of external observance and psychological/ rationalistic religiosity by the ascesis of purification from egocentrism and growth to authentic personhood through the illumination of noetic consciousness. In short, by overcoming self-love by the love of the Other. This monasticism is the way of Christ, and nurtures true disciples of Christ, who pray for the whole world as their true self, in self-denying love. This vision of monastic life of Father Sophrony, shared by many contemporary fathers and mothers, illumines monasticism as the very soul of the Church. It reveals what authentic Christian spirituality is about, by producing saints—who incarnate the love of Christ. This vision shows what monasticism is really about, the love of the other. And it give a definition to monasticism as the mystery of holy obedience. Obedience is the very heart of monasticism. Christian obedience, monastic obedience, has nothing at all to do with institutional or military discipline. To paraphrase Archimandrite Zacharias, those kinds of discipline are impersonal, structural, having to do with the continuity of an organization, enforced by compulsion. This may be necessary for the lowest level of spiritual development, but will otherwise quench the Spirit. Authentic monastic obedience is profoundly personal, a communion of love, a willing self-offering by the disciple in which there can be no compulsion. It is through this profound personal relationship of love that the disciple is transformed, empowered to transcend his passions and ego, and to control his thoughts; and to work out his growth to maturity through purification by self-denial. Being loved, he can grow in love, and be illumined by the grace of God, which is love, forgiveness, acceptance and healing. The spiritual father becomes God’s co-worker in bring a man up from an isolated individual into an authentic person. The authentic relationship of elder and disciple in holy obedience can only work in profound freedom, as the disciple’s free offering to God of his obedience to his elder. The grace of self-denial in obedience breaks down the ego, the self-centeredness, and self-will. Thus the father begets a son, who in turn becomes a father. The community becomes one in Christ in the bond of love. This is what contemporary monasticism strives for: The love of the brothers for one another, the growth in spiritual maturity, the transcendence of externalism and self-will, are a product of this kind of authentic obedience in love. Truly this is the model for what monasticism can and should become, as we strive to grow and to love. This also is what monasticism has to offer to the Church in the 21st Century, an answer to the secularism and atheism that is enshrouding our world: a vision of a community gathered together in love, in which each person finds his authentic vocation and the fulfillment of his life by living it in communion with God and one another. A question was posed about the program of the monastery. The monastery’s program, its daily cycle of prayer and work, is essential for the formation of the monks. Monasticism is a life of prayer and work, that shows how work is sanctified and prayer is a state of awareness that permeates all of life. The daily cycle of services, the Liturgy and the personal prayer rule all have to be balanced and support one another. The deeper one’s personal prayer, the deeper the experience of the Mysteries and the better the attention for the daily cycle of services. The rule of St John’s Monastery, when I was abbot, was for the brotherhood to gather in the church and prayer the Jesus Prayer corporately for 20-30 minutes before each main service, morning and evening. The basic cycle was matins early in the morning, followed on Tuesday, Thursday, Saturday and Sunday, by the Divine Liturgy, where each would partake of communion. In the evening, the Ninth Hour and Vespers would be served, then dinner, then eventually compline. Each brother also had his own personal prayer rule, consisting of the prayer book prayers, and the Jesus Prayer, each with his own schedule. In addition the brothers each would prepare for Communion with a set rule. This might consist of the three canons and akathist, as per the Russian monastic rule, plus the prayers before communion; or a combination of some of this and the Jesus Prayer. The Jesus Prayer would lead into silence. In addition, each brother read Scripture each day, and some other spiritual literature. The writings of the Fathers were read during the meals. The rule of prayer is part of the rule of the monk; the other part is to labor for the brotherhood. These are called obediences. There are two aspects to this: the daily chores necessary for the upkeep of the monastery, cooking, cleaning, shopping, chopping wood, stoking the fire (we heated with wood), and so forth. Then there were the tasks to bring in income for the community: making candles, coffins, publishing, the bookstore, painting icons, hospitality, and so forth; now, they make soap, and some other things as well. Some of the brothers were involved in administration of the monastery, the book keeping, assignment and oversight of obediences, and pastoral work. The idea is that prayer and work are integrated, that we work prayerfully and our work becomes prayer, and thus, an offering of love for the brothers. It manifests how life can be integrated and whole. Prayer also is work, the conducting of the services, singing, serving and hearing confessions. It is living and acting in communion with God and one another, in synergy and cooperation. Work done prayerfully becomes an experience of grace, just as the services are. It gives far greater meaning to work, and to a life of prayer. Thus, for the people who come to the monastery, and are used to a compartmentalized life, it shows a whole new way of living. It is the ultimate answer to secularism, which is life compartmentalized. Another question… What is unique about the situation of monasticism in America in the 21st century? Probably the biggest difference is the level of maturity and spiritual development of young people coming from contemporary Western culture, as opposed to those raised in a traditional Orthodox home. Those coming from a traditional Orthodox upraising are often already mature by the time they are ready to enter a monastery, having been brought up in a context of obedience to their parents, and obedience to the basic disciplines of the life of the Church. They are able to take and bear full responsibility for their own lives and others around them, and are emotionally stable. Many young people of our Western culture come to the monastery very immature, often from broken homes; with even greater issues of they have suffered abuse in their lives. One of the most important ministries the monastery has to offer is that it is a place of growth and healing, nurturing growth to maturity, and healing from the wounds of the past. Orthodox spirituality is both about growth and about healing. In our culture, men have come to mature later and later. That thirty is the new twenty one is not funny. A hundred years ago, a twenty one year old was fully a man, probably married with a kid or two, a responsible job and household. Now, this would describe someone closer to thirty years old. A young man growing up with only one parent, from a broken home, often has tremendous emotional issues and instability, which have to be overcome if he is going to become mature, much less live a monastic life. Other issues can include gender confusion, and an inability to relate to others. If there has been abuse, there is deep pain that needs to be confronted. If there has been no father in his life, much less one that has rejected him, there are major issues of self-acceptance and masculine identity which need to be confronted. All of these issues isolate a person within himself, erect huge barriers to relationships, and an inability to make commitments. The result is that we have an immense epidemic of self-hatred and self-loathing among young people. The first task is to accompany a person to being able to heal and grow. Monastic life is all about community. Thus, if a young man cannot relate freely to other people, in love and compassion, he is not going to be able to enter into the monastery. One mistake many parish clergy make is that they think that people who are anti-social or socially awkward are automatically candidates for the monastery. This is not at all the case. Rather, a person needs to be very balanced in order to be able to enter into monastic life. Someone with acute social or behavioral, much less any kind of serious psychological problems, will find it impossible to remain in a monastic community because of the issues that their problems create, causing pain to both the person himself as well as members of the community. How do you bring someone with these typical kinds of issues to maturity? The key is unconditional love and acceptance. We had a young man come to the monastery in our “summer novice” program. He stayed on the margins, not really entering in to the degree that most of the other young men did. Yet, when he left, he said that this was the first time he had ever felt that he was loved. All we did was accept him in the brotherhood for this short term, have him work with the brothers, and participate in our life, the liturgical cycle and common meals and activities. And yet, this was transformative, because for the first time in his life he felt accepted and recognized by other men. How many kids are there that have never experienced love and acceptance? How many have internalized this as self-hatred? One of the things that often happened in the States was that after a boy would get into puberty, he would no longer be hugged by his father, receive no physical affection. He was told that this was not manly. However, what is subconsciously conveyed to the boy is that with all these changes in his body, he is no longer acceptable to his father, but rejected. What does this do to his self-acceptance, the acceptance of his new manhood? It creates tremendous confusion. A close friend, the Abbess of a Greek Orthodox monastery which I had served as a young priest, herself an Eldress, gave me strict instructions: “You must hug your monks.” It is only by this very natural, human physical affection, which has no sexual content or implication, that can help a person build a sense of being loved and accepted, a sense of security. I tell men when I give talks, when you go home, give your son a hug, tell him you love him and are proud of him, no matter how old he is, and no matter that he will think it strange. He will grow to be a better man because of it. This kind of foundation is what is critical to build a strong, integrated person who will be able to grow to his full potential, unhindered by emotional pain and insecurity. It is from families that love and care for one another, work through their issues with each other, and express their love and affection, that produce young adults with the stability and maturity to take on monastic life, married family life, and leadership within the community and society.